The Carlisle ROP14 OptiClean Open Ended Peg / Tray Rack makes washing, storing and transporting long items such as baking sheets and trays easy. The open ended design allows longer items to extend beyond the rack for maximum versatility. 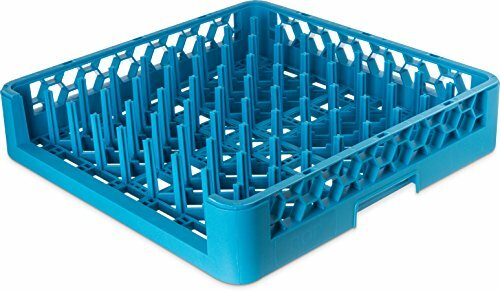 Made from durable polypropylene plastic, the OptiClean ROP14 ware washing rack is safe for use in commercial dishwashers and will standup to harsh detergents and heat up to 200 degrees F. An 8 x 8 grid of tall 2.96" pegs organizes items and holds them upright for superior cleaning and drying. The distance between the pegs is 1.75". The RG1614 is certified by the National Sanitation Foundation, made in the USA and recyclable.